Everybody in my party is 21+! Donna, Mill River Winery’s owner and winemaker, will take you through a seated tasting on our new special event table where you will be pairing wines with a selection of five sensational mini-cupcakes. You will evaluate each wine for aroma and flavor and then experience the wonderful synergy that happens when the wines are sampled with the cupcakes. 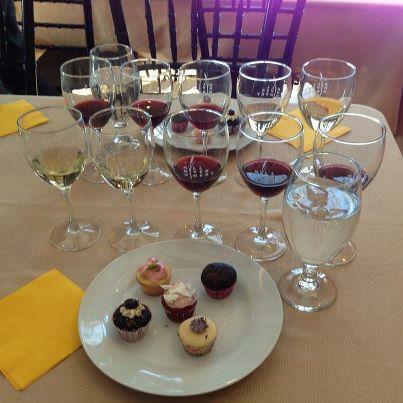 Donna will discuss wine and cupcake tasting tips: dry vs. sweet and red vs. white. You will also receive 5 specially designed wine/cupcake recipes so you will be able to host your own wine tasting party! This is a great afternoon event for BFFs, couples and/or adult family members. Cost is $28 pp; you must be 21+ years. Space is limited to 12 guests per seating.